1. The Time Clock can now be started from the dashboard. No need to open a project and a task anymore. 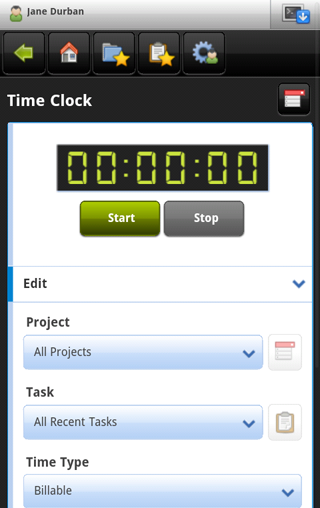 Actually, choosing a project and a task will be done once you click the Time Clock on the dashboard. 2. Recent projects are available during the clock in process. The corresponding drop-down shows recently-used projects. 3. Recent tasks are also available during the clock in process. The corresponding drop-down shows tasks you’ve recently clocked on and/or edited. 4. My Assigned Tasks and My Tasks to Review now show up as 2 separate items in the dashboard. We are working on several other things these days. We’ll keep you posted!